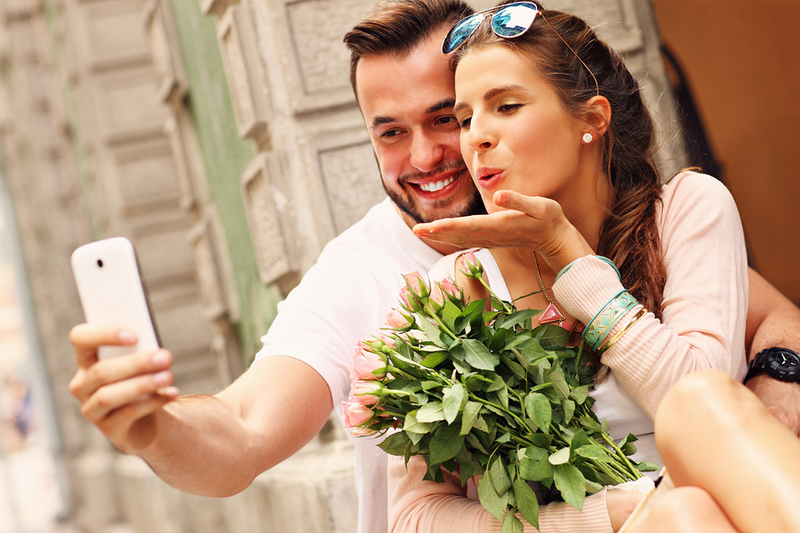 Valentine’s Day is right around the corner—do you have a great photo with your sweetie? Your smartphone makes it simple, and with these tips, you can step right up from a selfie to an “usie.” That’s right, a selfie you take with someone else becomes what’s affectionately known as an usie. Selfie sticks were invented for usies. When you’re taking a group photo, a selfie stick really can help. Try a different angle or two. Usually usies with a couple of folks are easy to manage, but when you have three or more, it can be more challenging to squeeze everyone in. First, let the longest-armed person click the photo. Also, aim your phone from above or below, if straight-on doesn’t work. And finally, tilt your heads at an angle, which highlights your cheekbones and makes your eyes look bigger. Stack ‘em up. You don’t have to stand in a line. Try putting folks in a tight bunch when you’re shooting a multi-person usie. Pay attention to background. Can you capture some of the ambiance in your pic? If it’s two of you in a restaurant, this is pretty possible. Or maybe you take an usie outside with the skyline in the background. Be creative and think about what you want to remember from the moment—then get that in the photo! If it’s too dark, you can adjust the exposure before you shoot. On an iPhone or Samsung Galaxy S6, click a dark area of your photo and adjust the sun or bulb to brighten the image. Other Android phone typically have manual exposure controls, too. Just do it! Just take a quick pic. Whether you’re out on a date with a special someone, or snuggled up by the fire with your 4-footed friend, an usie with someone you love is a fun way to remember the moment. Edit … just a little, or a lot. It’s all up to you. Sometimes a little tweak here and there can really enhance your usie. Check out VSCO (free for Android and iOS) which claims to be “the premier way to shoot, edit, and share your photographs,” or Snapseed (free for Androidand iOS), which offers filters and sophisticated editing tools. Don’t forget to share. Whether you’re posing with your one true love or all your buddies, be sure you share the usie with everyone in the photo!